A woman with a bottle of alcohol in her hand never looked good. But what about a chick with a cocktail in hand? Yes ,now we are talking about something else! Women’s evening is now an obligatory part of each group of friends. Regardless of whether they are in relarionship or not, with or without children, with a busy schedule or with a lot of free time – girls of all ages gather at least once a month, once a week or even every night. Many ladies perceive this simply as a fashion. As an integral part of modern culture and life in the big city. But this is not a step towards alcoholism. It’s just a great way to relax. This is our female way of dealing with the hectic everyday life and the many engagements. These women’s gatherings reduce the sense of anxiety and suppress the feeling of a void that each one of us feels sometimes. Everything is a matter of control. If you control the situation, it can not bring you negatives. Each of us knows that conversation, even without alcohol, with good friends is much more unloading. 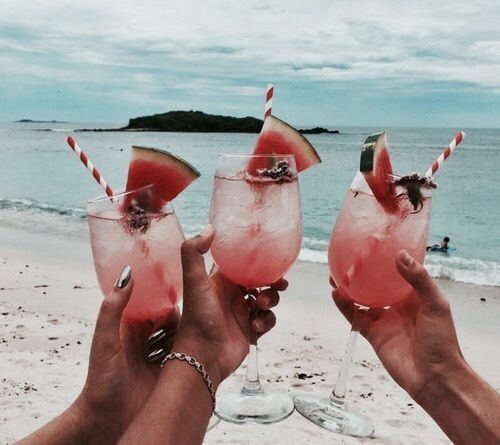 So, little and big girls, grab the cocktail in hand and enjoy your female time!